Ms. Lenora Johnston, the latest addition to the library staff, began working at Birmingham-Southern earlier this month. Ms. Johnston has a B.A. in Communications from the University of Alabama, and has worked previously at the University of Alabama-Birmingham's Lister Hill Library and for the Birmingham Public Library system. She is both knowledgeable and personable, and we are very pleased that she has joined the library staff. You can find her at the library circulation desk on Sundays from 2 pm to 10 pm, or Monday through Thursday from 1:30 pm to 10 pm... ready to lend a hand! Welcome, Lenora! As part of Hispanic Heritage Month, Alina Fernandez is scheduled to speak to the Birmingham Southern community about her experiences growing up in Cuba and being the daughter of political leader, Fidel Castro. Currently living in the United States, Fernandez's story is expected to intrigue listeners and amaze audience members as she reflects on events she witnessed growing up in the 1960s, 70s, and 80s in Cuba. Fernandez's lecture will take place in Bruno Great Hall (in Norton) at 7pm on October 27th. It is an event sponsored by the Office of Multicultural Affairs, listed as CEIS credit, and an event that everyone is encouraged to attend. Hope to see you there. The Provost’s forum this October is a lesson in The Piano and the Pendulum, by Lucy DeSa. Dr. DeSa is the distinguished Assistant Professor of Music for Birmingham-Southern, recently added to the BSC faculty for the 2008-09 year. 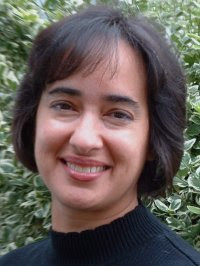 Lucy DeSa gained her Bachelor of Music from the University of California, Irvine in 1983 and later completed her Master of Music from the University of Southern California in 1986, finally gaining a Doctor of Musical Arts from Stony Brook University in 2007. With all these educational honors, she graced the faculty of University of California Irvine, Irvine Valley College and University of Massachusetts, Lowell before coming to BSC, as well as performing nationally as a recitalist and chamber musician. Dr. DeSa has great skill in teaching and performing her music; her primary interests include collaborative piano, group piano, keyboard harmony and applied piano. You may have been lucky enough to have her for an MS 110, 310, or 410 piano class, and can attest to Dr. DeSa’s prestigious skills. Up until now, these skills have been somewhat hidden from the greater BSC community, but on October 27 that will be remedied as Lucy DeSa presents an 11:00 am Provost’s Forum titled The Piano and the Pendulum. Held in Hill hall the alliterative title will come to life under Dr. DeSa’s care, and I’m sure the crowd will come away refreshed. Birmingham-Southern students are encouraged to attend this unmasking of a master—and for the skeptics, don’t worry—you can even check her out on Facebook. Dr. Michael Leslie: "Oh, brave new world!" There has always been a problem with editing and publishing drama in the age of print: so much that excites us and is crucial about theatre can’t be reproduced on the page. And the costs of print publishing mean that even not-for-profit publishers are only willing to print and promote a few star writers whose works they think are bankable (to all intents and purposes, Shakespeare). The result is that what is available for students and others interested in drama is radically limited in a variety of ways. New publishing technologies may offer exciting ways around some of the limitations. Digital publishing removes the costs of print and paper and substantially diminishes the costs of distribution; and the digital medium allows us to rethink what it is that an edition of a play text might be. For the past three years an international group of scholars has been creating a digital, web-based edition of the works of one of the most popular but now virtually unknown dramatists of the generation that follows Shakespeare: Richard Brome. With two minor exceptions, Brome’s plays haven’t been published or performed for centuries, and presenting them on the web is intended to re-introduce Brome to those interested in early modern drama. The edition is striking, however, for its incorporation of video of workshop experiments with actors and discussions between actors, editors, and specialists in such disciplines as costume, scenery, lighting, verse speaking, and dialect. The edition will “go live” this fall, and Professor Leslie's talk will present it and discuss some of the issues it raises. During fall break, the library will be open at the following times: Thursday 10/15: 8 am - 10 pm Friday 10/16: 8 am - 5 pm Saturday 10/17: CLOSED Sunday 10/18: 2 pm - midnight Happy fall break! The library received several exceptional gifts of music this summer! During this past summer the library received a gift of 1500 CDs from Dr. Marvin Whiting. His gift includes many different artists such as: Johann Sebastian Bach, George Frideric Handel, Joseph Haydn, Georg Philipp Telemann, Antonio Vivaldi, and Wolfgang Amadeus Mozart. And those are only a few. Another gift came from Dr. James Cook, one of our own music professors, who donated 400 CDs including western and non- western types of music. Professor Emerita Mildred Allen generously gave the library a selection of more than 150 opera recordings upon her retirement in May; and in August, Professor Ron Hooten donated a number of books related to music education, from his personal collection. Almost half of Dr. Whiting's donation is already on the shelf and ready to be checked out. The rest of the gifts are currently in process. We greatly appreciate these gifts. They have increased the library's music collection to well over 5000 CDs of western vocal, orchestral, and chamber music, and enhanced the print collection as well. The Birmingham-Southern theatre department promises to impress yet again with this fall’s performance of The Laramie Project, written by Moises Kaufman and the Members of Tectonic Theatre Project. Opening night is October 6, 2009 at 7:30pm, and shows continue at 7:30pm through the 10th. The final performance is October 11 at 2:30pm. The play will be performed in the more intimate setting of Theatre One, the smaller underground stage of the theater building. Directed by Alan Litsey, only 100 seats are available per night, so get tickets now! They are available in Norton and the theater department has its own box office as well. 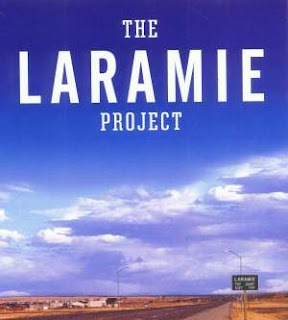 The play is set in Laramie, Wyoming based on 200 interviews with the people of Laramie after the grotesque murder of Matthew Shephard shook the town in 1998. The play takes a candid, intense look at hate crimes and crimes against the Lesbian, Gay, Bisexual, Transgender (LGBT) community; Matthew Shephard was murdered because he was homosexual. The theatre department pulls off this feat in exploring 60 different characters, portrayed by only 12 different actors. This play carries special meaning, performed so close to the anniversary of Shephard’s death eleven years ago on October 12, 1998. The dedicated cast includes Ginny Coats, Fred Brown, MacKenzie Smith, Jasha Vaughn, Jordan Crenshaw, Chris Hicks, Lisa Bamberg, Kristen Leonard, Joseph Laughridge, AnnaRose MacArthur, Ethan Hamm and Alan Young. Laramie makes no pretenses as a “happy play.” The goal is to spark discussions and thoughts to prevent any more of these tragedies. It is a thoughtful play, and our theatre department is well up to the task set before them. Students and community members alike are highly encouraged to see The Laramie Project and support the theater and the message Laramie sends. And if you forget your Kleenex, don’t worry; I’ll have mine. On Friday, October 2nd, from 6-8pm Birmingham-Southern College's own Durbin Art Gallery will open its new exhibit entitled "Visibilities: The Art of Negotiating Identity". The exhibit will feature artwork from 8 skillful artists around the United States and Canada and have themes pertaining to politics, sexual identity, and social issues. The exhibition, funded mainly through the Office of Multicultural Affairs, ALLIES , and a grant from the Mellon Foundation/Associated Colleges of the South, will last until October 23 and have many other events associated with it. During the duration of the exhibition existing on campus, there will be round-table discussions, speakers, receptions, film discussions, and more (For dates, times, and locations see http://csunx2.bsc.edu/CeisFutureEvents/FutureEvents.html.) The fact that "Visibilities: The Art of Negotiating Identity" will be BSC's first national invitational exhibition and will only be hosted by the Durbin Art Gallery for a few short weeks are only two of the many reasons to come out to enjoy this exhibit. Whether it is to take in the beauty of the featured artworks or to contemplate life events, this exhibit is not one you will want to miss.